Combining both precious and natural materials I am placing both at the same level of preciousness. 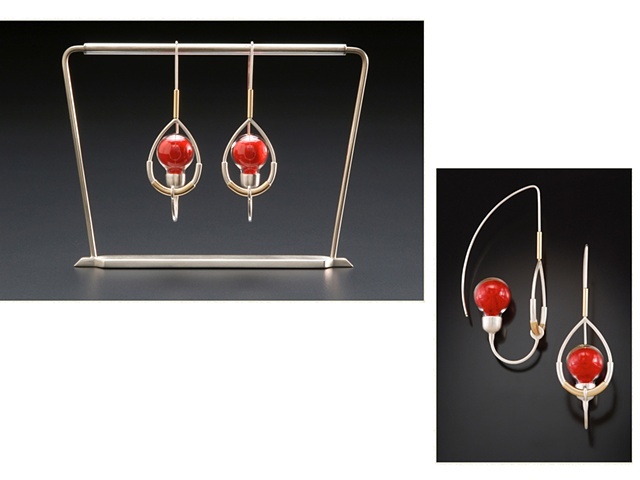 The earrings are wearable and sculptural on and off the body. 2 x 1 x 1"